I would like to introduce you to one special place located near my hometown Plav, which is off the beaten path in Montenegro. Plav is a small, charming town located at the foot of the Prokletije mountain range and adjacent to the springs of the river Lim. Established in the 16th century buy the Ottoman’s, its worth taking the time to stroll around and discover its hidden charms. Its glacial lake dominates the valley and is surrounded on all sides by majestic mountains. Some say that Plav (“plava” means blue in Montenegrin), got its name because of the deep blue color of the lake. On the hill next to the lake is my lovely town, with just 13 000 inhabitants. Although spoken English is rare here, as a tourist you will be surprised how easy it is communicate. You will experience first hand the genuine hospitality and willingness of the locals to help . Don’t be surprised if you are given VIP treatment! Plav is still an undiscovered tourist destination, so many places around town will be just yours to explore. 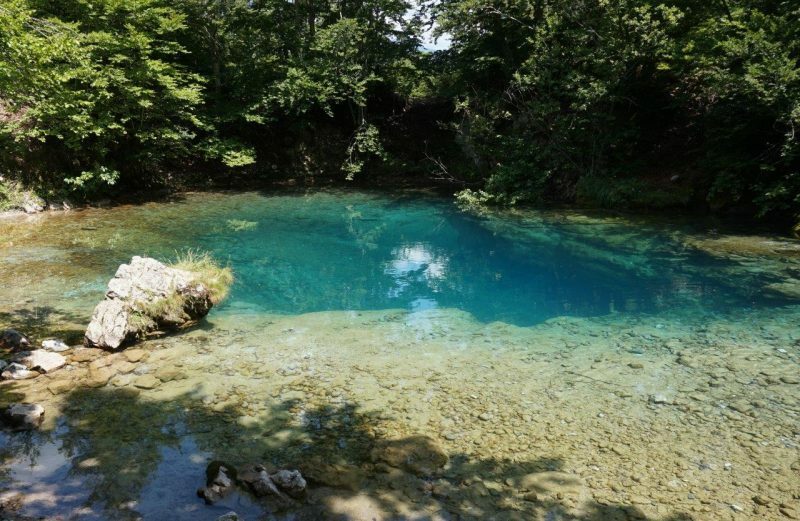 Ali Pasha springs and the “Blue Eye” of Oko Skakavica are well worth a visit. Another place that only locals know about is a hill Završ, or more precisely, a small meadow at the top of the hill that we call Vardište. It has a special place in my heart. My fondest childhood memory is when my father brought me the first time to Vardište. I saw the lake from the above and it looked huge to me that I thought it was a sea. :) This landscape is so beautiful, it could be a wallpaper for Windows OS. You would need about 30 minutes of easy walk from the city center to reach Vardište. Once you are here, you can enjoy having a picnic with a beautiful view, listen to the soothing music of nature or observe local shepherds looking over their sheep. My tip would be to take a walk through the nearby forest. Breathe deep the smell of pines while watching squirrels play their chasing game. You can even take a ball with you and play a match, there are goals that were made by shepherds – and they would be more than happy to join you! In the more remote areas of Montenegro, finding good accommodation can be an adventure in itself. There are no real hotels in Plav because tourism is still in its infancy here. 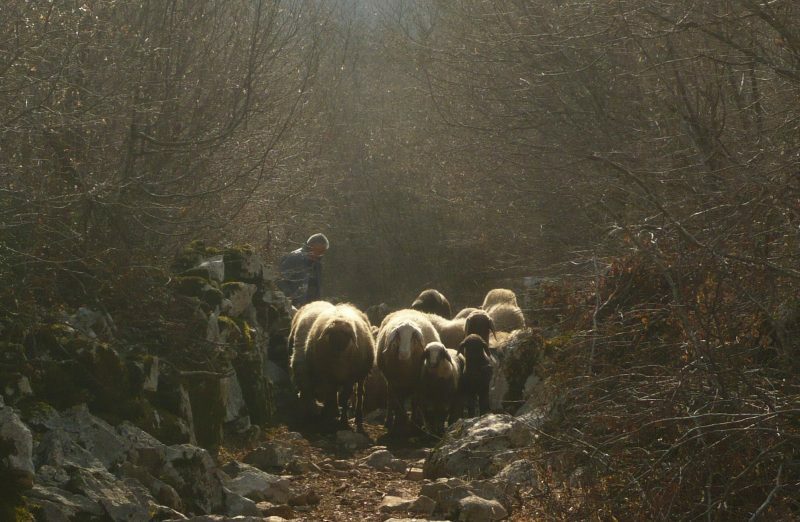 Montenegro Eco Adventures works closely with a local NGO to sustainably develop local farm-stay accommodation. This is a great way to immerse yourself in the local culture and experience a way of life that’s all but disappeared in the Western world. There are several buses a day that run from the capital Podgorica. It costs €10 and takes around 4 hours with stops. For an up to date timetable click here. A taxi can be arranged for around €50-€60.